Alright lets just get this out of the way. Spoiler alert. I am going to talk about the latest episodes of Agents of SHIELD and also speculate on the future of the show. My speculation can be off so its hard to call it a Spoiler but hey who knows. When the third pod or story arc of Agents of SHIELD Season 4 began with almost the whole team being plugged into the Matrix errrr sorry the "Framework" my initial speculation was who is not going to come back from the Framework. The Framework is a fake world but anyone whose avatar dies there, also dies in real life. The show doubles down on this by changing and potentially improving parts of the Framework world for each character such that they may not want to leave. Coulson is a teacher not a SHIELD agent. Mace is the leader of a Resistance Movement and a real Inhuman. Fitz is one of the top leaders of Hydra and the lover of Madame Hydra (AIDA). If Fitz comes back he may actually be a villain. It is hard to see him return to normal Fitz after being warped so much in the Framework. Simmons is dead - So yeah she will definitely want to come back. Its not good to be the other woman when "the" woman controls the world your in. 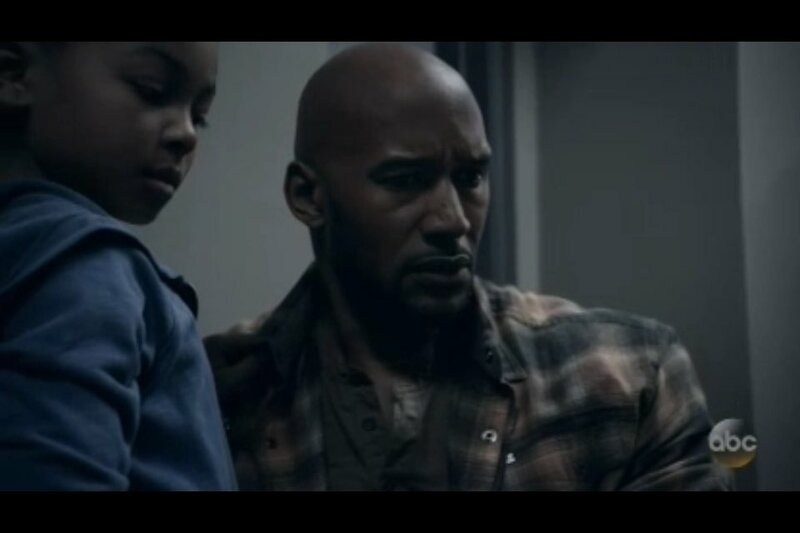 Mack - In the framework Mack's daughter never died and he is a protective father. Of all the characters who will have trouble leaving the Framework I see Mack having the hardest time. Who could leave a world where one's daughter is alive for a world where your daughter is dead? Mack's whole nature is to protect people and I just don't see him leaving. Immediately after learning everyone's situation I was worried for Mack. Then the show through another wrench into things. Madame Hydra and her lover Fitz are building a device called Project Looking Glass that can make real body in the real world and then transfer a mind from the Framework into the real world. Now this changes who could come back to the real world because now all of the characters in the Framework even those that have been dead for years could now come to the real world. This is crazy because this means that any character ANY character that exists in the Framework could come back. Now technically the show could bring back someone like the Red Skull from the films but I am going to limit the options here to the characters that have been shown or mentioned in the show. Madame Hydra/ AIDA - Now this is interesting. AIDA big plan all along has been seemingly to use the Framework and the device that creates bodies to recreate herself in the Real World as a human and be entirely unrestrained by programming. Effectively this her means of becoming free. She could thus become the "real" Madame Hydra that is human and exists in the real world. Ward - He is still alive and seemingly good. Not sold on the fact that he is good but either way this version of Ward could reenter the real world by using the device. Lincoln - I don't think Lincoln is coming back but he has been mentioned. Its possible that Skye could attempt to bring him back. Sunil Bakshi - Alive in Framework could come back. Antoinne Tripplet - Alive in Framework could come back. Fitz's father - Alive in Framework could come back. Alright so Hope is really the most interesting character that could be brought back of all. First, I don't think Mack comes back without Hope. So I really believe that either Mack decides to stay in the Framework or the team finds away to bring Hope with them through the Project Looking Glass machine. Now this is not the only reason why Hope is interesting. Is Hope the MCU version of Moongirl? 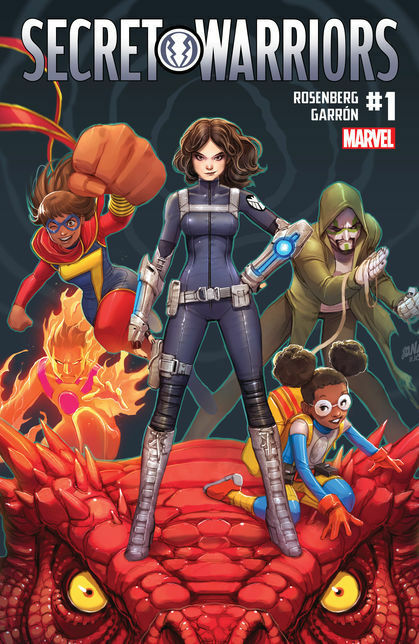 Hope has a similarity to another Marvel character and interestingly this is a character that is currently teaming up with the comic world's Daisy Johnson / Quake / Skye in the Marvel comic universe. I am talking about Moongirl. Moongirl is a character created in 2015 whose name in the comic universe is Lunella Lafayette and she is an Inhuman. Marvel has come out and said that Lunella is considered to be the smartest person in the Marvel universe. While their name and parents are different Hope and Lunella have a lot of similarities. Both know and like Daisy Johnson. Its also possible that Hope could turn out to be an Inhuman which would make her even more similar to the comic version of Moongirl. I like the character of Moongirl my one beef with the character was that they gave her the power of conscious transference which basically made her need to have Devil Dinosaur around to make much of a difference. I personally want the show to make Hope Moongirl but change her powerset so that she can stand on her own. That would be sweet. Those are my thoughts on escaping the Framework do you have any weird ideas on scenarios that could play out? Let me know in the comments section.